Upsells are a great way to increase the size of your orders by giving your customer a great deal on adding additional products to their purchase. Note: Be sure to upgrade your PayPal connections. If you want to use PayPal for your upsells, you’ll need to update your PayPal connection. If you’re using the old version of the PayPal connection, you’ll see a warning when you try to setup upsells. 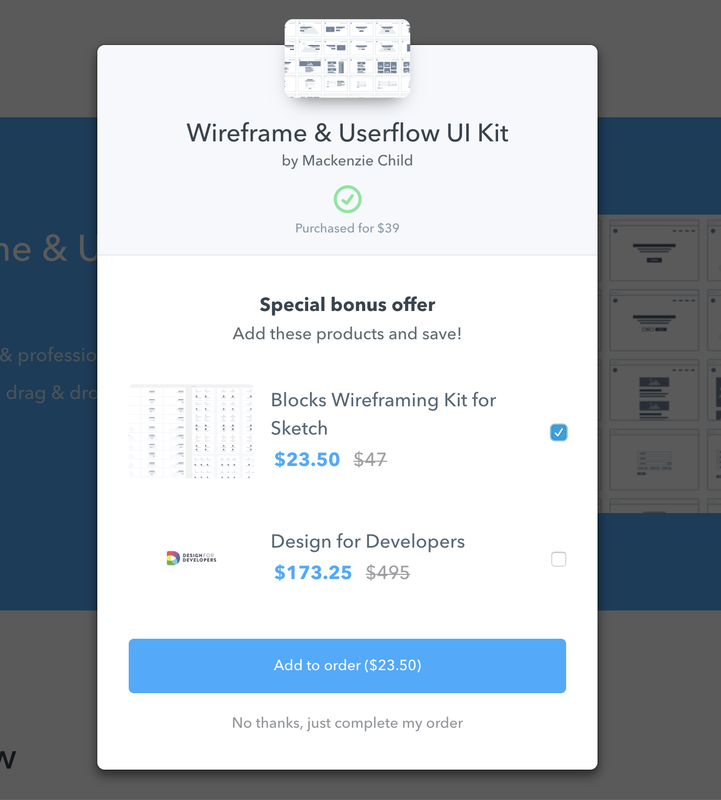 You can set up an upsell for any Online Course or Digital Download by going to the product’s Pricing tab, and scrolling down to the “Upsells” section. Click “Add Upsell” and choose which additional products you’d like to offer when a customer makes a purchase. You can choose as many products as you’d like, but we’ll display up to 3 at a time. We won’t display any products that the customer already has access to. Select the discount you’d like to offer for each additional product. The bigger the discount, the higher you can expect your upsell conversion rate to be! Drag and drop your upsell products to change the order in which they appear. 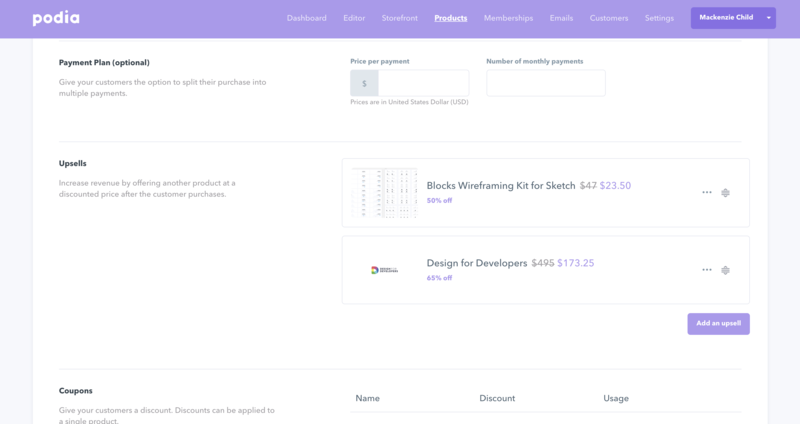 Now, when a customer purchases that product from you, they’ll be able to easily add these additional deals to their order. 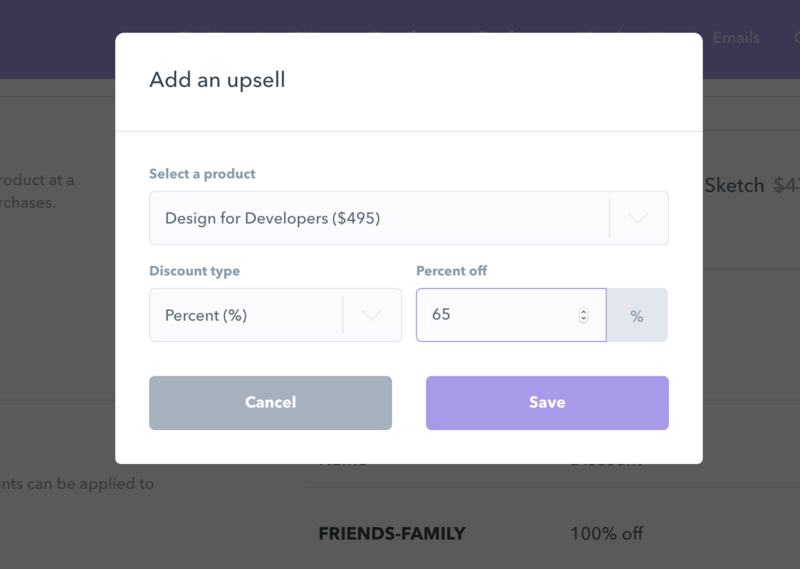 Note: the upsell will NOT appear when adding a 100% off coupon code to a paid product. Have any questions about upsells? Just email us at [email protected] or shoot us a message on live chat.